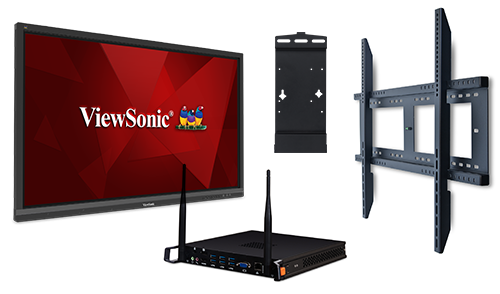 One easy price includes a ViewSonic® ViewBoard® display, slot-in PC, and wall mount for a complete interactive solution right out of the box! To make things even easier, we’re also including FREE shipping! Perfect for interactive meetings and conference room collaboration, our ViewBoard display is easy to install with the included mount, and ready for touch interactivity with the included slot-in PC. Multiple users can simultaneously write or draw on the ViewBoard display using styluses or their fingers – or both at the same time.